The latest update to Google Messages is out and sporting much the same look as always. 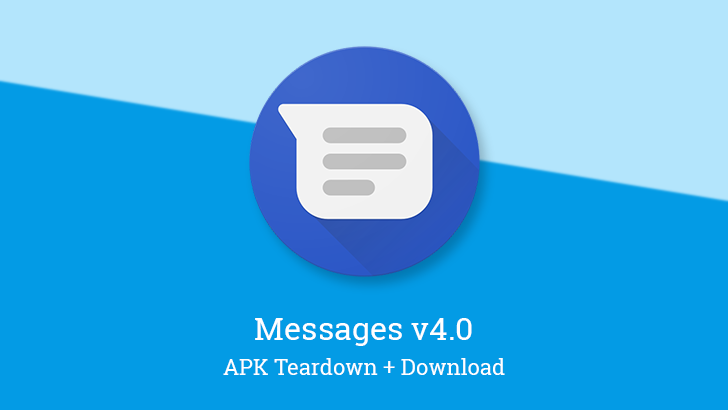 The major notes to be seen are in the teardown, which brings a few smaller details related to RCS settings and Verified SMS, hints at an auto-reply feature for spam messages, a change to the audio clip recorder, and a little refocusing on the upcoming Google Assistant integration. Google Messages just received its 4.2 update today as it adds a subtle but potentially valuable feature: Sending generic file types. Yes, you can now send files without being limited to just the standard photo and video collection. A teardown also brings follow-ups to the topics of Verified SMS and Google Assistant integration. Some features are just groundbreaking — there's no other way to say it. Like seeing borders on a map or tracking sleep with a health service, there are plenty of amazing things your apps could do that you never thought might even be remotely possible. Have you, for example, ever imagined, being able to search for a contact in a messaging app to start a conversation with them? I bet it never occurred to you, but that's exactly what the Messages app has just added. The latest update to Google Messages hit earlier this week, and while it's featuring a few visible changes, including a new setting to enable Suggested Actions and a new About screen, the most interesting changes aren't intended to go live quite yet. We already know Google is adding Assistant integration to Messages, and now some of that is manifesting in the app. But the most exciting addition is support for a great new carrier-level feature called Verified SMS that may put an end to scam messages (and calls). 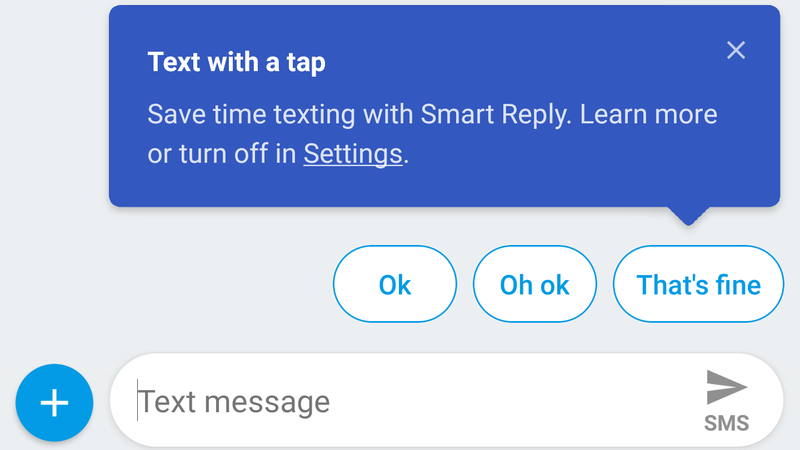 Google's Messages app, then called Android Messages, first received Smart Reply functionality in late 2017. A year and a half later, Messages v4.0 is adding support for Smart Reply in Spanish, as well as the ability to rename group conversations. For the impatient among you, we have the APK ready for download. Google's Messages app came out with a brand new update this week, and while it's sporting a major new version number, the changes are fairly moderate. It's now possible to give custom names to your group chats, and there's a tweak to the UI that makes Messages look a lot more like Google's Contacts and Phone apps. There are also several things to discuss in a teardown, particularly with regards to RCS. 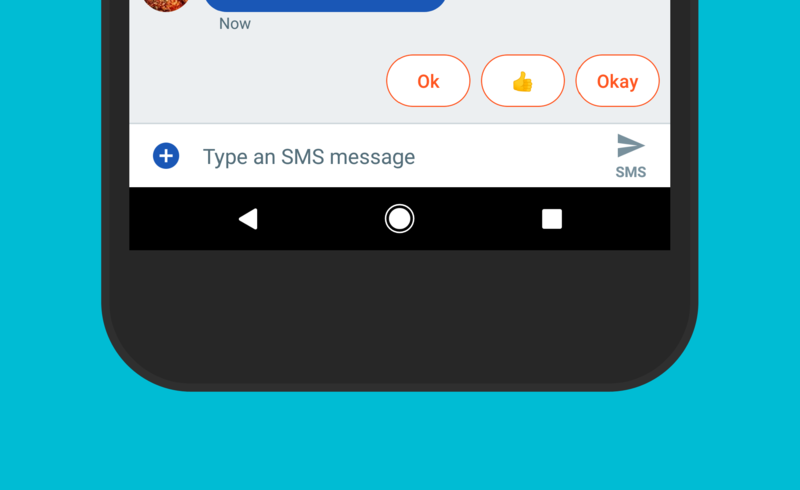 A couple of months ago, Cody unearthed in his Android Messages 2.3 teardown hints of the app implementing suggested actions, something akin to Gmail and Inbox's smart replies, but more in line with Allo or Assistant in that it could suggest to share your location or open your calendar and more. The image above is our first glimpse at what one of the possible actions, smart replies, could look like.